Apple is investigating further reports of iPhone 8 Plus battery bloat, with more devices reportedly breaking and separating in half due to expanding batteries. Last week, the company confirmed it was investigating incidents of the battery problem in Taiwan and China, but reports have slightly snowballed from there, with more cases cropping up in Canada and Greece. The obvious parallel is Samsung's Galaxy Note 7 exploding battery issue, which ballooned in scope over the course of several months last year with numerous reports of devices randomly igniting and occasionally causing customers serious bodily harm. 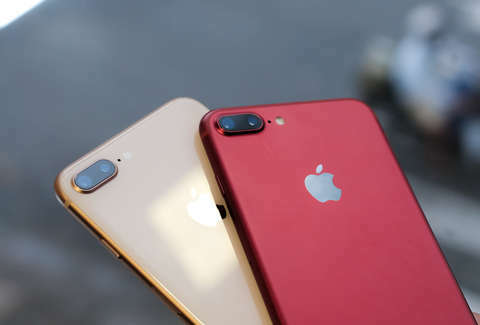 While a calamitous dilemma for the Korean tech giant, which lost upwards of $18 billion for supplying the market with an excess of exploding batteries that forced authorities to completely recall the device, it's likely that Apple won't experience anything approaching that magnitude. Apple's massive supply chain sells anywhere between 40 and 80 million phones a quarter, so it isn't completely unwarranted for minor issues to arise with such a massive manufacturing quota. Especially when considering the iPhone 8 has only been on the market since September 22, it's pretty clear that buying a new phone while it's basically in its beta-test phase is an ill-advised move. While the company investigates the causes of the problem, it's surely hoping its 10th anniversary iPhone X hits the market without any kind of structural defect next month.